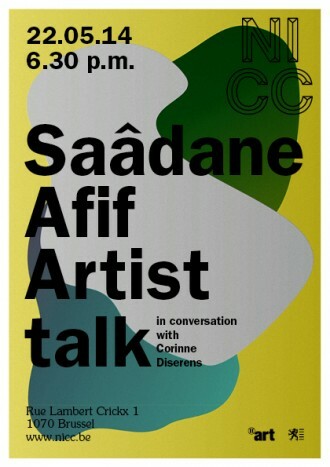 We have the pleasure to invite you to a conversation between Saâdane Afif and Corinne Diserens within the framework of the artist's recent solo exhibition «Affiches & Fontaines» (25 April—24 May 2014) and his two new books that accompany the exhibition, one of which is dedicated to the Affiches series and the other to ‘The Fountain Archive’. 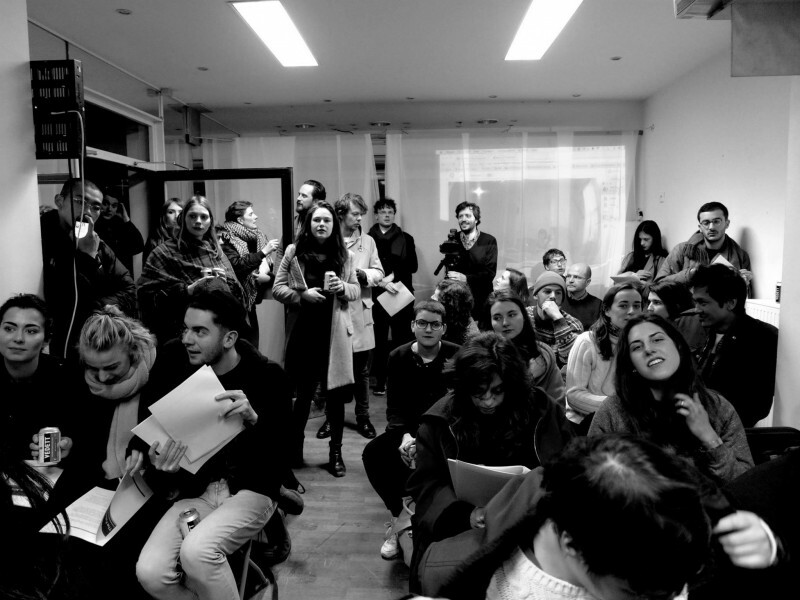 This talk is organised in collaboration with Xavier Hufkens Gallery. Saâdane Afif's first solo show was in Tours in France in 1998. He was awarded the Prix Marcel Duchamp, which led to an exhibition at the Centre Georges Pompidou, Paris, in 2010. His work is exhibited internationally and was included in Documenta 12, Kassel, in 2007. A solo show will take place in 2013 at IAC, Villeurbanne, France. Blue Time vs. Suspense was his first exhibition at Xavier Hufkens in 2007. Saâdane Afif was born in Vendôme, France, in 1970. He lives and works in Berlin. Corinne Diserens studied art history and film history at the Sorbonne in Paris and at the Independent Study Program of the Whitney Museum of American Art in New York. She first worked as a curator at the IVAM – Instituto Valenciano de Arte Moderno, Centre Julio Gonzales in Valencia/Spain and as artistic director of both, the 2nd Tyne International, Newcastle-upon- Tyne/Arts Council of Great Britain and the Carta Blanca in Madrid/Spain. She was director of the Musées de Marseille (1996–1999) and the Musée des Beaux–Arts de Nantes (2001–2005). Corinne Diserens curated the 5th International Biennial of Tirana (Albania) and was the director of the Museion – Museum of Modern and Contemporary Art Bolzano in Italy. Since September 2011 she has been the new director of the École de Recherche Graphique (ERG), Brussels/Belgium. From 2011 to 2015 Corinne Diserens is the chairwoman of the jury of Akademie Schloss Solitude. Curator of numerous exhibitions (selection): The Box Transformed, Whitney Museum of American Art, New York (1985–1988); Eva Hesse, IVAM/Galerie nationale du Jeu de Paume, Paris (1989–1993); Gordon Matta-Clark, IVAM, Valencia/Musées de Marseille, Marseille/Serpentine Gallery, London (1993); Citizen X, Heart of Darkness, Kröller-Müller Museum, Otterlo/Netherlands (1993–1995); Carl Andre & Gabriel Orozco, Musées de Marseille, Marseille (1996–1999); Dan Graham, Museu Serralves, Porto/Musée d'art moderne de la ville de Paris/Kröller-Müller Museum/KIASMA (2000–2002); Drawing with the Things Themselves with the libanese artist Paola Yacoub, Beirut Art Center, Beirut/Libanon (2011) andChasing Shadows, Santu Mofokeng, thirty years of photographic essays, Jeu de Paume Paris, Kunsthalle Bern, Bern/Switzerland und Extra City, Antwerp/Belgien (2011 and 2012).